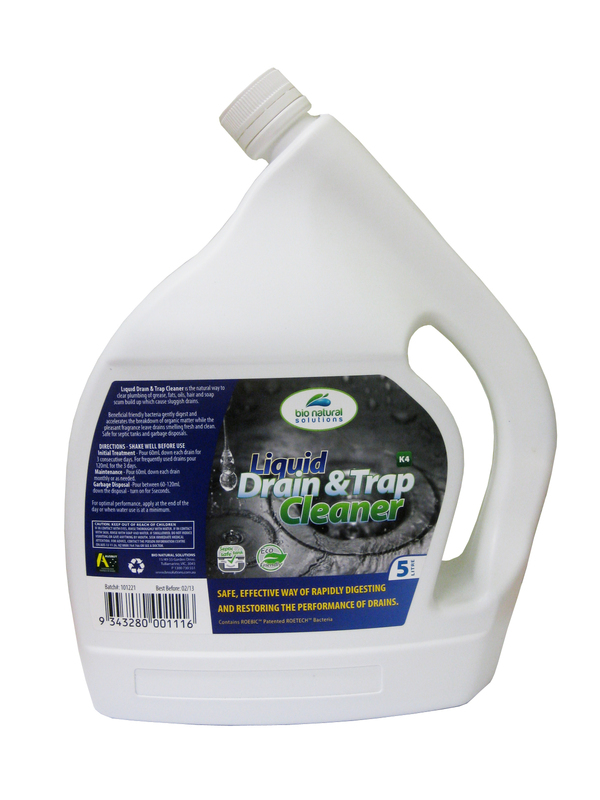 Noisy pipes can make living around a plumbing system very annoying. Sometimes the pipes bang, sometimes they squeak, and sometimes they chatter! Water hammer is one reason pipes play their tunes, but it is not the only reason. Not all pipe noises are the same. The type of noise you hear gives a strong indication to the type of action that will be required to solve the problem. You must listen closely to the sound being made in order to diagnose the problems properly. Water hammer is the most common cause of noisy pipes. 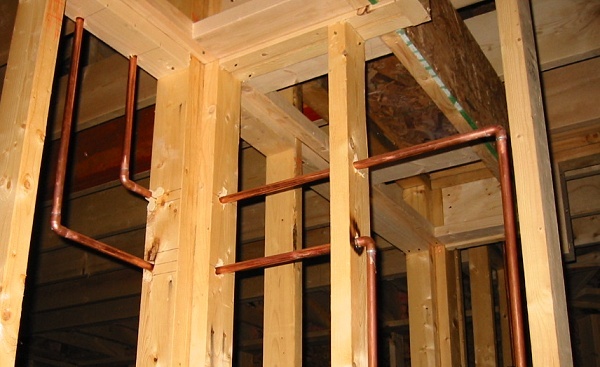 Banging pipes are a sure sign of water hammer. Water hammer occurs most often with quick closing valves, washing machine valves, but it can be a problem with other fixtures like taps and toilets. The condition can be worsened when the water distribution pipes are installed with long, straight runs. When water is shut off quickly, it bangs into the fitting at the end of the pipe run or at the fixture and produce the hammering or banging noise. The shock can produce some loud noises. Installation of water hammer arrestors which are a piston like valve, can help resolve the water hammer problem. 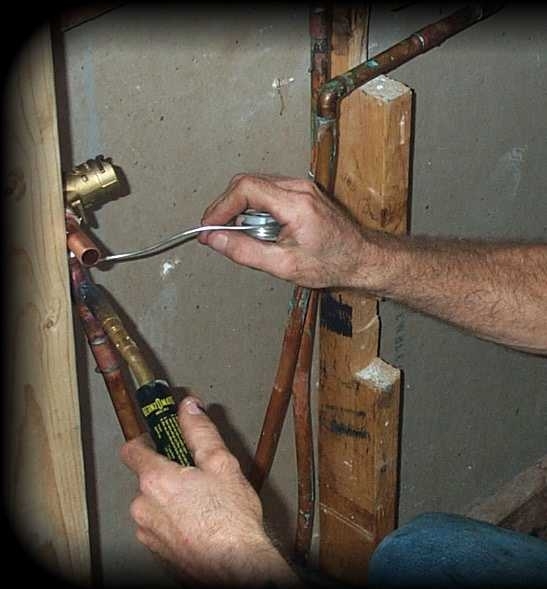 Alterations to the plumbing by installing offsets in the long runs of piping can also reduce water hammer. Unsecured pipes are prime targets when you are having a noise problem. If pipes that make up the water distribution system are not secured properly, they are likely to vibrate and make all sorts of noise. Not only is this annoying to the ears, it can be damaging to the pipes. Pipes that are not secure in their saddles can vibrate to the point that they wear holes in themselves. If enough stress is present, the connection joints may even be broken. Pipes that are not secured in the proper manner may create load banging sounds. This noise imitates the noise made by a system that is experiencing a water hammer. Squeaking and chattering noises may also be present when pipes are not secured properly. The problem of poorly secured pipework is easy to fix, if you have access to the pipes. Unfortunately, the pipes and their saddles are often concealed by plaster walls! That squeaking noise you often hear from water pipes is almost always a hot water pipe. Whether the water distribution pipe is copper or plastic, it tends to expand when it gets hot. As hot water moves through the pipe, the pipe expands and creates friction against the pipe saddle. The expansion aspect of hot water pipes is not practical to eliminate, but you can do something about the squeaking noise. The simple solution, when you have access to the pipes and saddles, is to install a piece of rubber or any other suitable insulator. 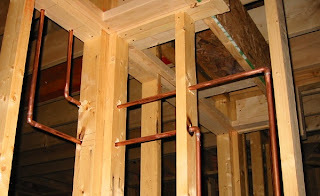 Your goal is to prevent the pipe from rubbing against a timber support when expansion occurs. All new hot water pipes come already lagged but this expansion problem can still occur. There are a variety of noises that can occur within a plumbing system for a variety of reasons and there are several solutions that can be installed to help. With the installation of quality pressure reduction valves, non return isolation valves or just securing the pipework. The professional licensed plumber can help locate and diagnose the solution.